It is indeed a great pleasure for me to interview this innovative, highly interesting band. That being said, I would like to show my appreciation for this opportunity. 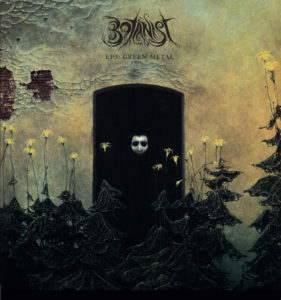 I have heard the new release, the Botanist / Oskoreien split, and, I can wholeheartedly say that it contains incredible music. You can feel how much the band has evolved, but still maintaining the same spirit, the same aura. It truly feels like sophisticated music. Please, tell us a bit about this release. What could you comment with us about the lyrics and the goals set for EP 3? Even though you have mentioned that the material on the EPs are not necessarily ground-breaking within the canon of Botanist, I personally feel that you did push boundaries in this release. What can you comment on this matter? Otrebor – Hello, Marcus and all reading this interview. The inside story on “EP3: Green Metal” was that it was originally intended to be a companion to “EP2: Hammer of Botany.” Originally, “Green Metal” was meant to be side A, and “Hammer of Botany” side B of a kind of Botanist / Botanist split LP. However, various plans and needs led to “Hammer of Botany” being named “EP2” and released alone for the 2015 European tour, and so we saved “Green Metal” for a split. 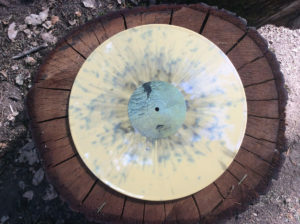 The intention was to have each EP sound a bit different from one another: having “Green Metal” be harsher and colder sounding, and “Hammer of Botany” be lusher and more colorful. 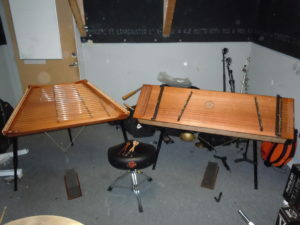 In addition to drums and voice, “Green Metal” is hammered dulcimer and bass guitar only. 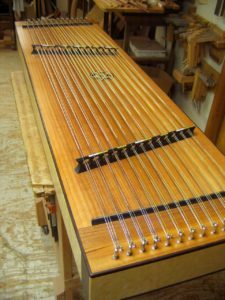 In contrast, “Hammer of Botany” has harmonium and marks the first use of the bass dulcimer, which was custom made for Botanist by James Jones. Like I’ve said in the past, Botanist EPs are not so much intended to progress the project in major artistic ways — that’s the role of the Roman-numeraled full-lengths. The EPs are intended to try out new, more minor things, but mostly to have fun just making Botanist. For the “Green / Hammer” EPs, the main experimentation had to do with the vocals — we tried some new layering and effects approaches; all the stringed instruments and vocals were run at the same settings through a 5150 80W combo amp that may or may not have been working entirely perfectly… But it worked out great for these recordings. That amp has been since sold so EPs 2 and 3 will forever remain unique in this regard. The drums for EPs 2 and 3 (and for EP1, as well) were in fact not originally intended for Botanist. 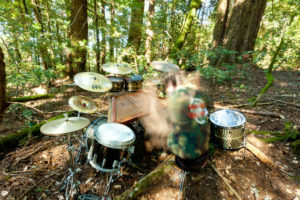 All these drums were made for other projects whose members simply didn’t follow through on their creative commitments, so we used them for Botanist. 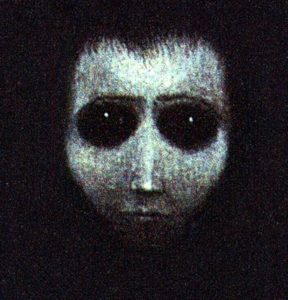 EPs 2 and 3’s drums were supposed to be for the defunct Hellnaut project’s second album, whose first and only album you can hear and download for free on the Botanist bandcamp. I read an interview with you concerning your musical tastes, how you got involved with metal music, starting with Iron Maiden and then going through the more extreme styles. You have a very eclectic taste, even in heavy music. I believe you also enjoy one of my personal favourite bands, The Ruins of Beverast. And these artists somewhat inspire us into creating something of our own. Obviously, you are making your music, creating your “trademark”, for the lack of a better word at this moment, well, your uniqueness, but, how did this influence Botanist music? 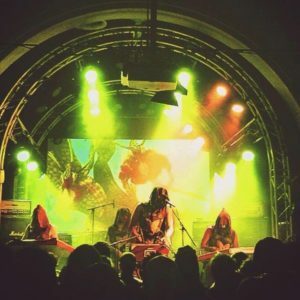 Otrebor – If I had to pick my single favorite metal musician, it would be Meilenwald. The Ruins of Beverast (and also Nagelfar) continues to be a source of inspiration to me. The music’s depth and complexity of nuance is astounding, but it never becomes a showcase of complexity for complexity’s sake. In contrast to many of the current-day one-man projects, whose music sounds quite robotic and automated, Beverast’s work feels organic. The music and albums have a deep, erudite, occult, magical feeling. Even though it’s only one man, it sounds like the creation of a band, actually, physically playing songs. I would like to ask you about your music creating process, how does it work? Please, let us know if you prefer to work with the lyrics first and then the music or if it’s the opposite? And, now concerning the lyrical aspects of Botanist, what are the main influences? Enlighten us not only about the influences themselves, but also how they influenced you in composing your lyrics. Of course, you are the creator, you write them, but I guess that, in some sort of way, authors could influence us in our works as well. 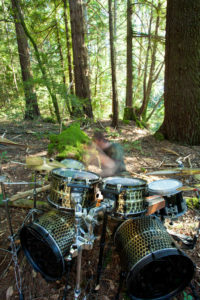 Otrebor – Botanist’s writing process tends to be quite special as most of the time the music is built from the drums up. What this means is I like to compose and arrange songs rhythmically first. The compositions can be semi-stream of consciousness (like on “I/II”) or they can be deeply mapped out (albums “VIII” and “IX” will be this way). I try to deviate from this model (and have), but what is always the most intuitive is to make drum compositions to a click track, then go in later with a fresh perspective on the drums, figure out what it is that I did, and write and record all the music to the drum tracks. Most of the time, this is how Botanist is written. Lyrics are written independently of the music and thus almost never to a specific track. In 90%+ of the cases, I’ll take a set of lyrics and try to fit them rhythmically with a tracked song. If the initial phrasing feels good, and if the amount of lyrics seems to fit well with the amount of music, that pairing is made. Some exceptions were for songs like “A Rose From the Dead,” whose music and lyrics were written very intently to be what the song became, and placed specifically at the end of album “II.” The biggest example of intentional lyrical and musical structuring is with “VII,” which is the most conceptually stringent album Botanist will do, and so it requires much more judicious thought. Because of this, and because I’m trying to do something remarkably different and the most outside my usual comfort zone is partially why the album is taking so long! The lyrical aspect has pretty much always been some kind of marriage of science and spirituality, with a fair amount of mythology and The Botanist’s own psychotic, romantic slant thrown in. While the content of the lyrics are derived heavily from botanical science, I interpret and derive more a sense of magic than empiricism from them. The album that’s meant to be released in 2017 will be a big contrast from what’s been more the standard: let’s just say it will be more along the lines of “orthodox green metal.” Wait and find out. I’d only add that it’s not only Americans. Otrebor – Botanist’s music is in large part an expression of Nature as divinity. I believe that because humans are limited beings in terms of our ability to know and understand, and in particular to conceive of the concept of “god,” we can never know the true nature of what the divine is. But I believe there is unquestionably something that causes what is to be — that ties everything together. While we can’t comprehend the nature of that entity, that force, what we can see is the most readily witnessable manifestations of it: the Natural world. Botanist believes that “god” is in the trees, and rocks, and animals, and in the unfathomably complex systems that allow all of these manifestations to work together perfectly. That is how limited beings can truly witness god. Destroying or disrespecting that is blasphemy, and will ever contribute to the eradication of the human race. Unlike theologies and ways of thinking that seem to pervade most people’s worldviews, I feel there is great power in the humility of not needing to understand everything: Knowing that there is something far more awesome and powerful than can ever be comprehended is like a magical experience — it puts the universe and each of our individual places in it in better perspective, and helps diffuse the illusion that we are in power and control of a great number of things that in fact we are not and cannot be in control of. I believe that the specific creation of Botanist in terms of its focus and dogma about the aesthetics of Nature and the divine is one of many manifestations of the Earth’s auto-immune mechanisms. The ecology and systems of the Earth are ever being thrown out of balance — the worse this situation gets, the more the Earth will take harsh and violent countermeasures to rectify the balance. The collective consciousness of this eminently pressing issue is ever spreading amongst humanity; it’s easy for one to take note of the ever-growing ranks of those speaking out in art, literature, activism, or politics about the dangerous path humanity is on. 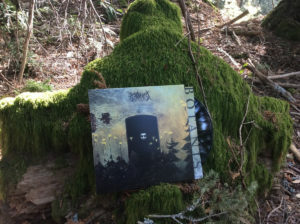 While trendiness has something to do with this (take metal only as an example: how many band photos are being taken in the woods recently as compared to before? ), I believe even the basest of copycatting is in itself a manifestation of the inhabitants of the planet being primally motivated to action by the call of what has been named “the divine” in this interview. In the small way that I can contribute to this cause, I believe Botanist was a creation of this call to action. At first, what drew my attention to Botanist wasn’t the music. It was the mythology, the scenery, the concept created in its lyrical themes. I read about the concept, the mythology, the lyrics and I knew I had to listen to your music as soon as humanly possible. Fortunately, not only this rich tapestry of concept, themes and characters was interesting, but also the music was engaging, alluring. I kindly ask you to tell us how did you create these characters, the Botanist lore, these figures and how they are related to the problems we all face when it comes to nature. If they are, of course. Otrebor – The ongoing creation of Botanist’s lore comes from an innate desire to celebrate the form and beauty of flora. A scientific basis is built upon with aspects of mythology and Romanticism. The pantheon is ever expanding within a conceptual, musical story. Botanist started as a one-man band. With time, the band is now composed of other members as well. Could you tell us the motivations of this decision? Was it mainly for playing live concerts? In your opinion, what are the positive points and the negative ones when it comes to being in a one-man band compared to have more musicians in Botanist. Otrebor – I want to push Botanist as far as it can go. Having a live band that performs interesting concerts helps generate buzz around the project. While I personally far prefer records to live shows (and making them), many people feel the opposite, so pursuing all aspects of what a successful band does should be necessary to making a successful band. The aspect of playing live that I personally enjoy is actually not so much the actual shows as it is the traveling. Touring is hardly a vacation, but the travel experience is unique in comparison to a more standard trip you would take on a holiday, for example, in that you get to experience countries you visit on a more cultural level: you have the opportunity to interact more deeply with people from those places and get a special view of regular life and attitudes than you might if you were visiting alone or in an isolated group as a tourist. On the other hand, I feel there’s only so much focus I can distribute to various aspects of my life. Managing the live band detracts from the focus and energy that can be put into making recordings. One respected metal artist stated that everything in a click away. Nowadays, all that matters are the “first thirty seconds” impression, since many don’t value music that much anymore. It’s something very elucidative in my humble opinion and I always want to know if other musicians share the same opinion, so, I’d like to ask you how do you feel over this and what can a band do detach itself from this problem as well as to distinguish itself from many others? Otrebor – I believe there’s no absolute viewpoint about the “30 second” point that you bring up. Personally, I’m not interested in the overproduced, plastic, inflated productions where everything is impossibly perfect and the music sounds like it was made by robots in a computer. It seems that the bulk of what major metal labels have been putting out this decade are like this. I don’t hear the soul in these and it’s pretty easy to tell within 30 seconds if I’m dealing with one of these records. I think it’s great that one can go online and check out a sample of something before buying it. It’s definitely saved me some money on records by bands I would normally not have thought twice about… And that money saved went to buying albums by bands I would not have bought normally, but I got to check them out first and loved them. This is a question that I always enjoying asking as I find it interesting to read the different opinions and reactions from the musicians I interview. This is obviously a primordial goal, what you aim with your creation, however, we all know that music affects us in a way or another. It can elevate our moods, give us hope and make us forget about everyday problems. Even when it comes to heavy music. Or better, mostly when it comes to heavy music. With that in mind, what are your thoughts when you get to know that your music helped people to go through rough phases? That it helped people to go on, move on? Otrebor – Every person who makes art of any kind must make the decision at some point: do I share my art with the public, or do I keep it to myself and my private circle of people? Either is a valid decision. However, if one decides to make the art public, one must be prepared to accept any reaction or feedback the public makes about the art. So naturally I enjoy hearing what people are thinking and saying about the album (the bad stuff, too). For sure if the feedback is superlatively good, I enjoy it more. So far, I haven’t been told anything along the lines of “your music got me through xyz”; my favorite comment maybe ever is “Botanist’s music actually sounds like plants.” Objectively, of course any music cannot sound like plants, because what do plants sound like? But if someone actually feels that Botanist sounds like plants, it means that the imagery and philosophy behind the music has succeeded. Not a musical question, but I do enjoy getting to know some of the personal opinions of the musicians that create music which I admire. We live in a society that has, without a question, evolved in many areas. We have many technologies, many things that makes our lives much easier than before. However, I feel that most of us live empty lives, with the sole goal of waking up, working, get back home, buy something off the internet, watch Netflix, check Facebook, then sleep. There’s no social contact anymore. Real contact. How do you feel about this? And where do you see our society heading to? Otrebor – I don’t think this perspective is so easily judged either. Yes, many people live empty lives by other people’s standards, but that’s been the case since lives have been able to be lived with emptiness. The technological outlets you mentioned indeed detract from some measurable level of social interaction, but in the days before those things existed, people found other means to allow for focusing their lives on minor things to fill the time (and sometimes, time fillers as recreation are a good and worthwhile thing. Always trying to cram in meaning and importance 100% of the time is also unreasonable). Finding meaning and worth in one’s life is a challenge and a personal decision, and while for sure I’m on the podium to criticize the overblown importance and focus society puts on ephemeral technological devices, those devices could be interchanged for some other enabling factor or object that would distract a person from taking steps to more life meaning. 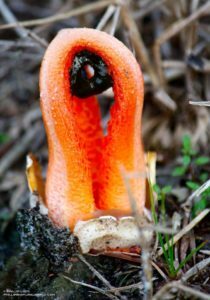 Botanist’s message to all is to be more humble in the perception of one’s place in the world, and to go out, slow down, and appreciate the impossible intricacy and beauty of the natural world — one doesn’t have to go far. A park, even a tree in an urban area — looking and considering how that thing lives or where it comes from, how it works, and much and how little about it can be understood. It’s a little thing that can help put life in perspective. I think empty lives is a social problem, but the issue of humanity’s prevalent world view is a bigger one. In a way connected to the previous question, and I hope you haven’t talked about anywhere in this interview, if you did, I apologize for the repetition. Sometimes we have preconceptions on how people are and make mistakes. I don’t want to get into your personal life, of course, but how you live in regards to your own environment? Do you live afar from the city, in a more ecological region? Do you prefer the isolation, avoiding contact with others or is this something more related to the botanist? Otrebor – I grew up and live in the city of San Francisco. As time passes, I increasingly fantasize about my life becoming more like the life that we think of The Botanist leading. Still on your personal tastes, and, again, nothing intrusive. I just enjoy getting to get to know the person behind the music a bit better. I would like you to let us know some of your favourite activities, hobbies, movies, etc. What you enjoy doing in your free time, whenever you have any. Tell us some of your most cherished authors, books, painters, whatever you would like to share with us. I must add that all the Botanist artworks are simply amazing. Otrebor – Thank you. My favorite movie in the past couple years has been “Jodorowsky’s Dune,” the documentary about the science-fiction film project in the mid-70s that was all but made. What I like most about it is the underlying message Jodorowsky has in particular about the importance and nature of artistic creation: what is truly important about it, and what is merely noise that detracts from the importance. The fundamental viewpoint and energy that is conveyed in the documentary encompasses a feeling of what boundless creativity and ambition should feel like: that it should feel positive and free of the fear of failure. In its own way, the film’s message is a bit like the scenario of re-gaining perspective by studying a simple tree: It’s helped to reset my own perspective about what is truly important in life, and has helped to re-identify what life is worth living for. And so we reach the end of this interview. I hope you and the readers enjoyed it. Thank you one more time for your answers. I also would like to wish you the best for your personal and professional endeavours. I leave you with the last words of this interview. Otrebor – Thank you and same to you, Marcus. We have big ambitions for Botanist for 2017. If our plans align properly, we will be releasing a very interesting LP to coincide with a tour. The LP will be unique in scope and content within the project’s discography. We’ll be talking more about it in 2017.